Of Jackson, MI, passed away on Saturday, December 1, 2018 at Countryside Care Center at the age of 89. Ruth was the daughter of Ralph C and Mary Jane (Near) Gertz born May 10, 1929 in Logan Township, Ogemaw County, MI. Ruth is survived by her loving husband of 70 years, Harold; two sons, Charles (Kathy) Crites and Ted (Jeanne) Crites; four grandchildren; two brothers, Ted Gertz and David Gertz; special friends, Dorothy Bodie and Joann Konz. She was preceded in death by her parents; brother, Richard Gertz and sister, Mabel Baker. Ruth was a graduate of Waite High School in Toledo, Ohio. She worked at A.P. Parts as a chief scheduler in Toledo, retiring after 34 years of service. She was a wonderful, loving wife, mother and grandmother who enjoyed spending time with her family, especially her grandchildren. She was a member of Faith Evangelical Lutheran, Hanover Horton Historical Society and the Dahlem Center for many years. 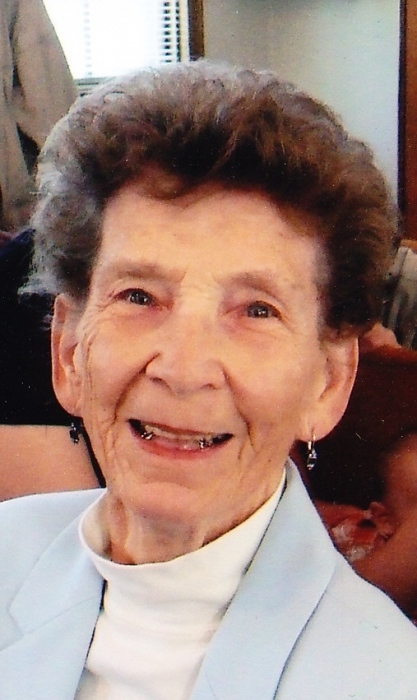 Ruth was an avid reader, gardener, enjoyed sewing, quilting and knitting. She made a lot of quilts for her family, friends and donated them to many charities. She was loved by many and will be sadly missed by all who knew her. A celebration of her life will be held a Watson Funeral Chapel in Jackson on Tuesday, December 4, 2018 at 11:00 AM, Reverend Ross Mahan officiating, interment following at Hillcrest Memorial Park. Memorial contributions in memory of Ruth many be made to Faith Evangelical Lutheran Church, 2620 Francis Street, Jackson, MI 49203. The family will receive friends on Monday from 3:00 – 6:00 PM and on Tuesday from 10:00 AM until the time of service.